The environment boss explained that it would be important to have public feedback on the research as the community’s input will form a critical part of the process. “It is vital that people feel a sense of ownership in the future of local marine parks and the resources they protect,” she added. DOE and Bangor University staff assessed 60 sites across all three islands looking for stressors such as coral bleaching, disease and overfishing. “The survey included different habitats in deep and shallow waters. We also purposefully selected sites in and, outside of the marine parks system to see if there is a difference,” said Project Leader and Senior Lecturer in Marine Sciences at the Bangor School of Ocean Sciences Dr. John Turner. The team has also been looking at the DoE’s longer-term data set to take into account changes in reef health over time. All this information will now be fed into a decision support software programme developed specifically for marine-protected areas. 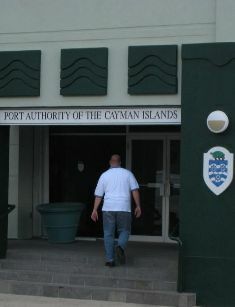 The software will map and produce options for enhancement to the marine parks system to provide optimum protection for Cayman’s marine life. “This project allows us to gather scientifically robust data that will help us understand how effective our marine park system has been over the last 25 years, what risks it faces at present and what we need to do to ensure viability of our marine resources in the long-term,” Ebanks-Petrie said. “When the marine parks were established, we had a different set of risks to consider. At this time, the threats to our reefs have changed. This initiative will ensure that our marine protected areas keep pace with local and global threats,” she said. The Darwin study is a collaborative effort between the DOE, the Bangor School of Ocean Sciences at Bangor University in Wales, and US-based The Nature Conservancy. DOE Senior Researcher Croy McCoy leads the fieldwork. The project is partly funded through a Darwin Initiative international research grant of CI$344,000 through the UK Department of Environment, Food and Rural Affairs and ultimately supports an improved marine parks system. (CNS): World-renowned educator, literacy trainer and guest lecturer Kwame Alexander will be visiting the Cayman Islands this summer as part of the public library services summer reading programme. Alexander will be here from 18 to 29 July to host the Book-in-a-Day Workshop for young adults. He has authored more than thirteen books and published 100-plus authors and is well-positioned to teach students essential-writing techniques and share tips on how to get published. His workshop will conclude with a special presentation from recently-published local author Stephanie Gunby, who at only 14 years of age has written and published a 56-page paperback, The Clever Clouds. During the summer parents can also look forward to a packed programme, filled with the customary slew of free activities for children between five and 14 years old across Cayman’s library service. This year’s theme, One World, Many Stories, encourages participants to dive into the realm of books and reading, and escape to the many places that stories will take them. But even more importantly, it provides motivation to continue reading during the summer break. The two-week programme will engage participants in a range of fun activities including read-a-longs, arts and crafts, and music and dance, between 10:00 a.m. and noon daily. Snacks will be provided, as will free t-shirts at the start of the programme. Children and teens will also be encouraged to accept the annual reading challenge of readingas many books as possible. Top readers will be rewarded for their efforts with achievement certificates and prizes. The programme’s final day (Friday, 29 July) will be marked by a special reading celebration service at each branch library, as well as the presentation of participatory certificates. For more information on this summer’s reading programme, visit your nearest community library or call Youth and Reference Librarian Juliet Lawson on 949-5159. (CNS): The students from John Gray High School are hoping to set a world record tomorrow for playing dominoes. Ted Todd a teacher at JGHS said the goal is to have at least 700 students playing a domino game all at the same time for around twenty minutes. The current world record is 549 players and Todd said the school hopes to beat that and send the evidence to the Guinness Book of World Records Organization. The event takes place on Thursday, 30 June at 9:10am in the school hall. Aside from putting the school on the map Todd said he hoped it would also serve as a practical exercise in team building for the school population. The current world record for the most people playing dominos simultaneously stands at 549 and was achieved during a tournament organised by Jose Felix De Gouveia Munoz in Valera – Edo Trujillo, Venezuela, on 15 August 2009, the Guinness World record website reveals. Dominoes are probably one of the oldest games in the world with sets having been dated from around 1350 BC. 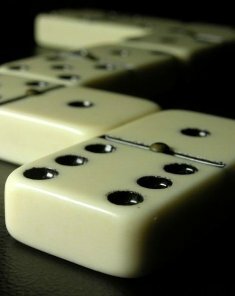 The oldest known domino set was found in Tutankhamen's tomb, among the ruins of Thebes and now sits in King Tutankhamen's Museum, Cairo, Egypt. Last night, once again out of nowhere, a vast amount of fireworks were ignited close to the downtown harbour without any publication or warning, which is becoming more and more despicable each time this happens. The result was, once again, since we live near the harbour, that our 6 dogs and 4 cats, not being prepared at all for this event, completely freaked out, as well as my wife, who is a stage 3 heart patient (and no, she does not mind that I referred to the animals first). If expected, we drug the animals and yes, believe it or not, my wife as well, with Valium so they can all survive these unexpected terror attacks from people that have no regard for anything else, it seems, other then their bottom line. It is unbelievable that in these times of economic hardship that there appear to be individuals that have more money then brains. Just about every charitable organization is suffering to the max to make ends meet and here we have such a total waste of funds that could have been much better spent than literally burning it up like this. Many countries around the world have bans in place for exactly the aforementioned reasons, apart from the typical publicly announced events such as New Year's Eve. Many elderly have suffered heart attacks, many animals have gotten lost never to be found again or severely injured by passing cars, the animals being completely out of control. We read stories each and every time after fireworks that a number of animals, usually dogs, are breaking out of their enclosures doing harm first of all to themselves and quite often to humans as well, either because they are attempting to control them or when the animals crash into cars and what not. My bottom line: This is not only because of my family but all those who suffer in a similar fashion but may be reluctant to voice their opinions to the general public in order to create some added awareness about the risks and consequences of, I dare say, unauthorized use of fireworks. On a final note, my wife and I actually do, I would not say enjoy, but at least look at the show during Pirates Week. We actually have no escape from it either way we look at it, but at least during those times we are forewarned and able to drug the animals so they don't have to suffer heart attacks as well. Finally, in case someone wonders, no, this is not the same as with bad weather like thunderstorms; animals don't like that either, I'm sure, but that is a natural event, usually preceded by rain, which functions a bit as a warning of what is yet to come. As a result they react quite differently and sit quietly in a corner or just snuggle up on us. I hope the operators of heavy fireworks have the decency to properly publish their upcoming events in papers and radio stations for the benefit of many. (CNS): As the campaign continues to maintain the grouper fishing ban at Cayman’s one and only remaining spawning ground, new research suggests that the fish may well be the solution to the recent invasion of lionfish into Caribbean waters. The study, published this week in the online journal PLoS One, explained that lionfish numbers were ten times lower in reefs with lots of large groupers. The increase in lionfish in Cayman over the last few years has caused significant alarm because, while they may look pretty, they are voracious predators. The spiny fish are not native to the Caribbean and are believed to have been released from aquariums in the United States and eventually made their way through to the local region. 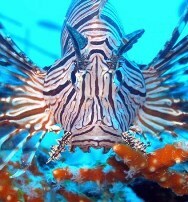 Lionfish numbers have increased dramatically in the last few years and they have now invaded the entire Caribbean. The fish eat significant numbers of small fish and conservationists are concerned about their impact on the local native fish populations. A research team from the University of Queensland (Australia) and American Museum of Natural History (New York) studied the invasion of lionfish in a remote stretch of coral reef in the Bahamas. "In 2006 we did not encounter any lionfish but by 2010 they were at all of our 12 study sites,” said the reports lead author, Professor Peter Mumby. “However, the number of lionfish was ten times lower in reefs with lots of large groupers". The team surveyed reefs inside and outside the Exuma Cays Land and Sea Park, which is one of the best marine reserves in the Caribbean, having been established in 1959. "With long-term protection from fishing, grouper numbers are among the highest in the Caribbean and we believe that groupers are eating enough lionfish to limit their invasion on these reefs," Prof Mumby added in a release from the Fore projects. This news is positive for conservation efforts but Prof Mumby adds a cautionary note. "Years of over-fishing means that densities of large grouper, like the Nassau grouper, are low throughout most of the Caribbean. If we want grouper to help us control the lionfish invasion we'll have to develop a taste for lionfish instead of grouper and drastically reduce the fishing of this species". Lionfish have high venomous spines to protect them from predators and there are few known predators of lionfish. However, previous studies have found lionfish in the stomach of Groupers and the native fish is emerging as the best potential natural answer to control the lionfish numbers. (CNS): Following the revelations that local law enforcement authorities have been engaged in a year-long investigation that the opposition leader says involves the country’s premier, Alden McLaughlin says that McKeeva Bush needs to make a statement and give a proper explanation. Although the premier has not denied that there have been “reviews and investigations” about him, he maintains that he has done nothing wrong and implied the probe may be connected to a letter he wrote regarding a real estate invoice. Bush has not given a formal statement, however, about why he made be involved in this inquiry or if he has been interviewed by the police. “He owes the country a proper explanation,” Alden McLaughlin told CNS on Tuesday evening as he called on the country’s leader to step aside until the investigation is complete. The PPM leader and the independent member have both said that if the accusations that are being made are correct it is a very serious matter. Bush has insisted that this is nothing more than an opposition smear campaign against him, and that McLaughlin would do anything to get the premier’s job. But it appears that the investigation was set in motion by the judiciary. A document was uncovered in a civil law suit in the Grand Court that raised such concerns that it was given to the governor, who then launched the police probe which he has said is currently underway, though he won’t admit that it is Bush who may be at the centre of the enquiry. Speculation that the police have already decided to cease the investigation for lack of corroborating evidence was dismissed by an RCIPS spokesperson yesterday, who said the investigation which it is undertaking into financial regularities continues. “The premier must, and he must do so quickly, explain the nature of the investigation which is going on into him,” McLaughlin added. On Tuesday the premier had told CNS that a statement about this would be made shortly but he had nothing to hide and knew of no reason why he should be investigated. On Saturday at the rally for jobs he said that the “truth will prevail”. Ezzard Miller says if the premier won’t step aside voluntarily on a temporary basis until the matter is cleared up, his Cabinet colleagues should ask him to step aside. (CNS): After the first day of competition Andrew Smilley has brought home the Cayman Islands’ first medal at the Special Games, winning a silver in the 800m freestyle swimming event. 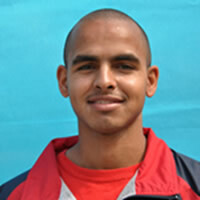 Matthew Ebanks also shined with a personal best in the 400m run according to reports from Greece, while many of Team SOCI also managed to break their own records. Coach Nicole also reported that both bocce athletes rolled extremely well. “The athletes are really responding to the competition, and they are eager to show the results of their hard training,” the coach said.